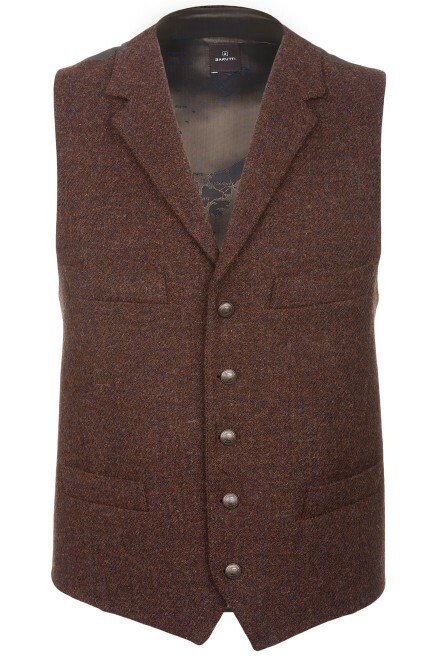 These classy waistcoats make a perfect partner for our Harris Tweed jackets. Available in several colours to suit any wardrobe, these waistcoats have a contrasting back with an adjustable strap to give the perfect fit. When worn over a shirt or T-shirt, these waistcoats provide a fashionable and stylish look in their own right. The burnt orange, blue and green waistcoats have leather buttons, whilst the brown, mustard and claret waistcoats have metal buttons.